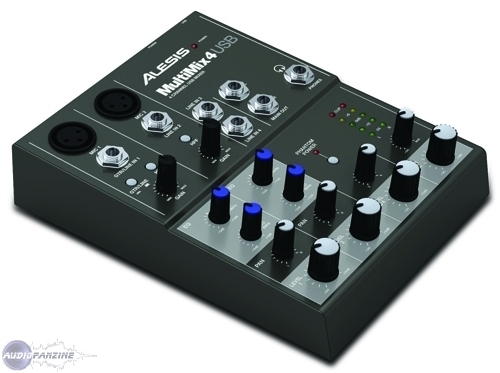 MultiMix 4 USB, FireWire/USB/mLan Mixer from Alesis in the MultiMix series. 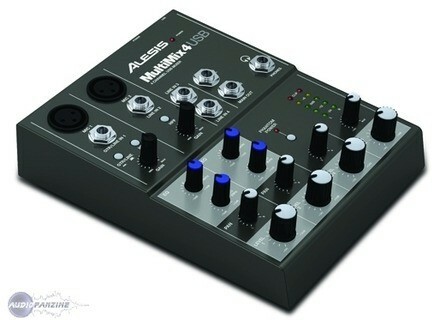 The Alesis MultiMix 4 is a four channel USB mixer that is very easy to set up and start using right away. There is no compression on this mixer and also no effects. The EQ is fixed and there are 2 EQ bands per channel. The knobs are made well and do not seem as if they could break off or get stiff as long as they are taken care of. This mixer is pretty small so it can fit on almost any desktop recording surface and it does not look to bad either. 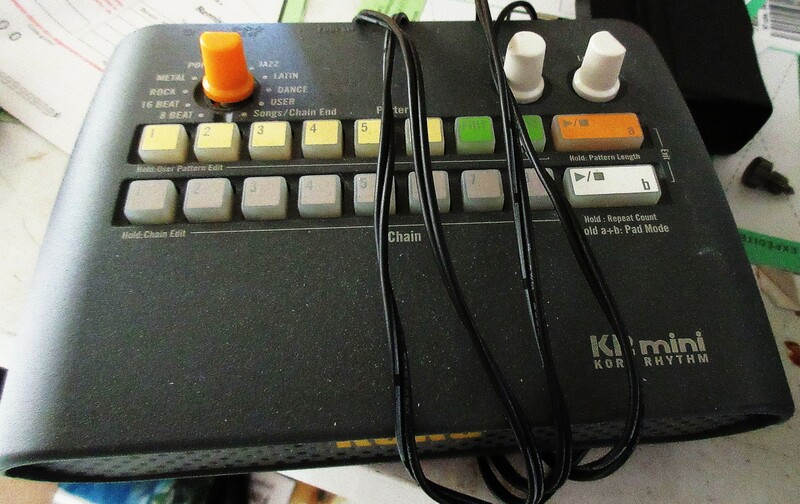 The best part about it is the value for the price; this is a pretty good little mixer for 75 bucks. 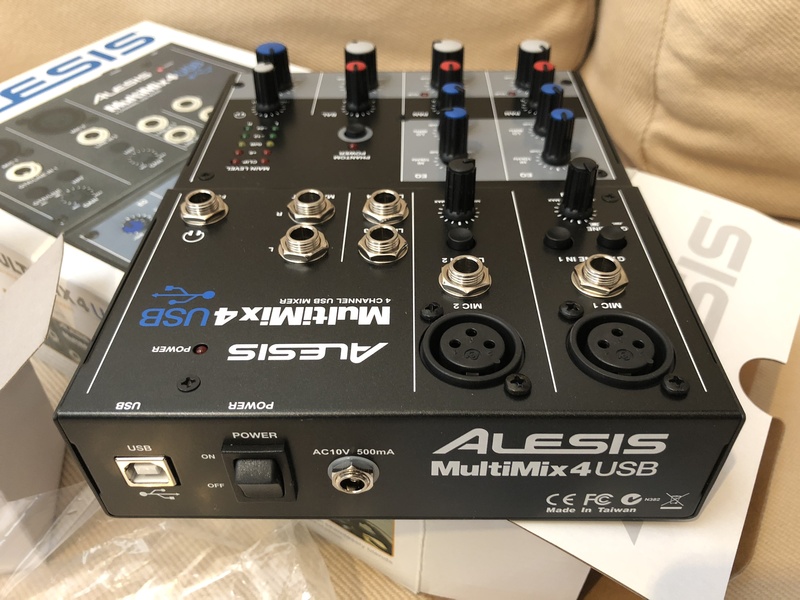 I have used many mixers and other gear from Alesis and they always have great quality products. The MultiMix has a switchable HP filter at 75 Hz, but only on channel one and channel two. This is great for getting rid of that low frequency sounds that can get very distorted and it is also great for taking care of wind noise “air”. One of the cool features that I enjoyed working with is that I can use it with my iPad. I just had to have the Apple USB adapter that I got from the Apple Store and that was it. There is also a guitar input on this mixer and multicolor monitoring (LED). The sounds is pretty clean when working with it, I would not want to use it as my main mixer though just because it is not better than any of the higher end mixers that I currently own. 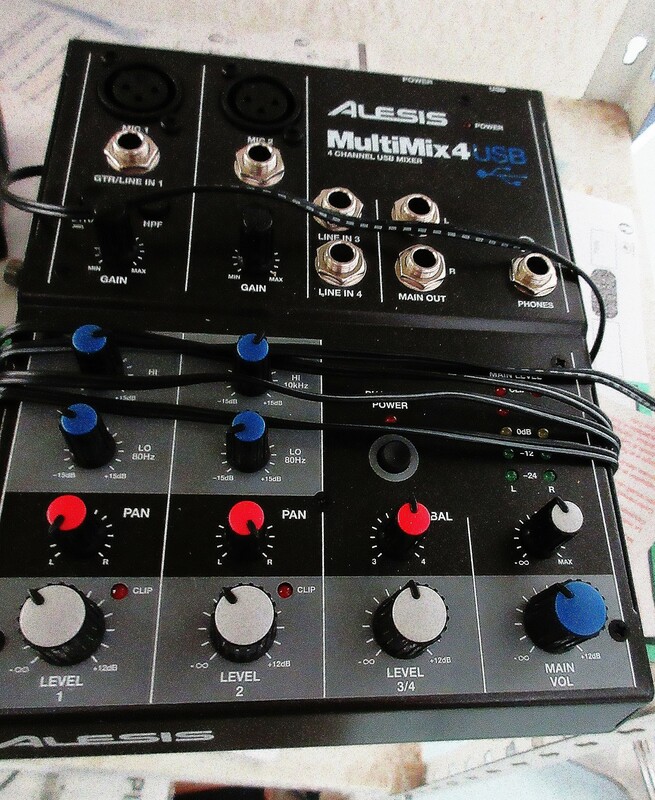 But for portability you cannot beat what you are getting with the Alesis MultiMix4. I recommend anyone who is on the go and needs a smaller mixer with them at all times to purchase this mixer; at this price you really have nothing to lose. ThyM31's review (This content has been automatically translated from French)" Not bad to start"
Caution First, MultiMix 4 does not mean 4-way, but 2x2 input and 2 output (right and left). It's no big deal for an interface at this price, but you have to know. Problem with all these inputs, it is essential to reset the levels of unused inputs, otherwise it snores good. It works in ASIO4 carefree is the USB 2.0 standard config on Microsoft no boredom. Ave a little adjustment we arrive at reducing the breath, but it's not upscale either, if there is a good entry level is correct. For the arpegiatto on an acoustic guitar, it's more complicated. The sound is okay - very transparent - I correct anyway color on the PC. I use it for 5 years, always on the go, or I have other interfaces as the most successful Presonus, but the small mixer available can make a lot of services, watch the mix is ​​done on the console, so the one PC input. Sound processing will be uniform over the "micro" + guitar for example, other than using the pan to put right the other left. The problem does not arise. Linux Ubuntu, no problem, systematic detection and optimal functioning. I have already had several USB interfaces. UA25, Line6, etc. etc.. Nothing to say peculiar, if not for the price we have a small mixer with independent power supply in addition to its interface. No breath and no particular background noise. I tested it with a microphone very public, the Behringer U2, correct result. Nothing more. I'm not sound engineer, although I have the sheet and frankly, with a little work, you must do good demos. goka's review (This content has been automatically translated from French)" very stable"
I had my old preamp which had dropped so I had bought something from a store in an emergency in my town with little budget and that's what I found most interesting and affordable for less than 150euros (yes prices in shops in my town are expensive ..), I was especially interested in the two instrument inputs / mic with phantom power supply and this little mixer that plugs into USB! But the USB connection is hyperefficace, runs smoothly on my home PC (XP) and Mac (Mac Book Pro last) and ca ca I like much compared to the preamp / converters Hearing (more pro) that foirouille enough. . sacrament for a price higher! after as I've already poor signal quality (converters really no end) but in any case with plug-ins you can change all the sound you want ..
against it by the latency is important! but AC is corrected to the edict .. 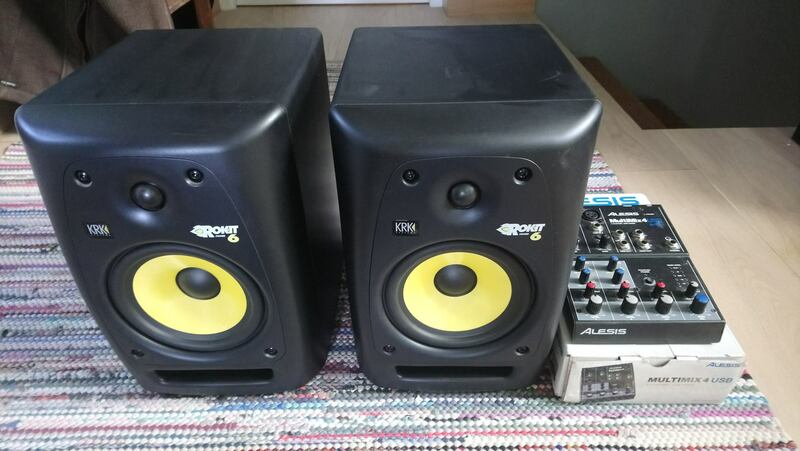 So it's clear that you will not make professional productions with this Multimix (although if you spend a lot of time to reprocess the sound or if you add very good preamps inputs...) but to make small pre-production tracks, there is nothing better and more effective home-studio for that price! Finally, if you don't do like me and you buy it on the net, used in all cases I board at the start of Mao who want to be a nice small configuration!